Nowadays, Squacquerone di Romagna PDO is produced all around the year and each and every ingredient and step is closely monitored to promote its traceability. 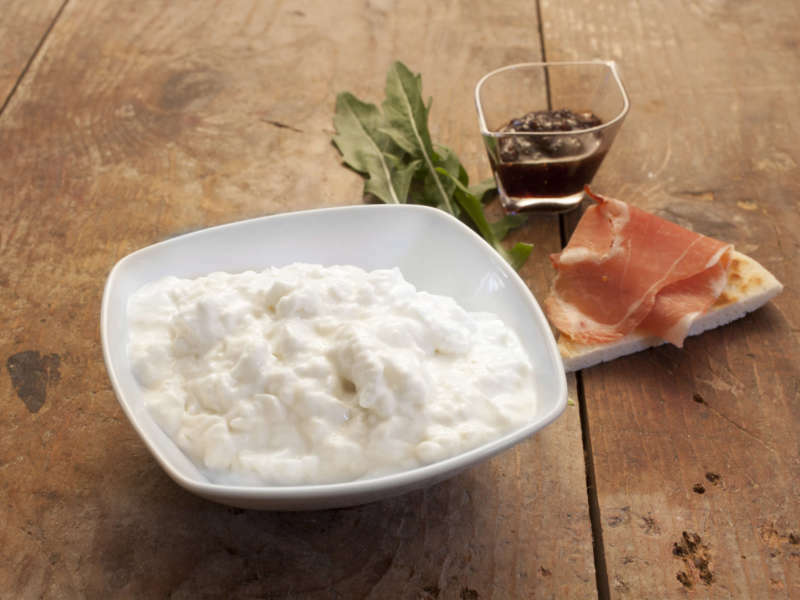 In the past, Squacquerone was produced only in winter, as production could then be performed without the risk for the ingredients to deteriorate due to the hot weather. Because of its extreme delicacy, still today the shelf life of this typical cheese is only around ten days. But when was the Squacquerone born? Several traces of Squacquerone di Romagna can be found in the Vocabolario Romagnolo-Italiano, a dictionary compiled by Antonio Mattioli and printed in 1879: it is he who defines it “squacquerato”, that is to say, almost liquid. The very first mention of caseum mollem dates back to Petronio Arbitro (I sec. d.C.), author of the famous Satyricon. Traces of the cheese are again found much later, between the 18th and 19th centuries, when Giacinto Carena talks about a fresh cheese, “tenero” or “caciolino”, to be consumed quickly because of its short conservation. In Libero Ercolani’s dictionary of romagnolo dialect (1971) with the term “Squaquaron” they meant the stracchino cheese of Romagna. Despite being a cheese traditionally linked to the countryside and its inhabitants, because of its taste it was also appreciated by the notables. We find it mentioned in a correspondence dated 15 February 1800 between Bellisomi, bishop of Cesena, and Casali, general vicar of the diocese. In his letter the former, who was travelling to Venice for a conclave, asks for news about the Squacqueroni he ordered and not yet received. His personal secretary will reply two weeks later thanking for the cheese, finally received. There are further mentions in the 20th century, with Luigi Pasquini (1897 – 1977), designer and freelance journalist, who tells about Emilia Romagna from the Twenties to the Seventies of last century and talks, of course, about Squacquerone and of his childhood memories linked to it.